View cart “Black Red Orange Amaryllis Floral Bow Tie” has been added to your cart. 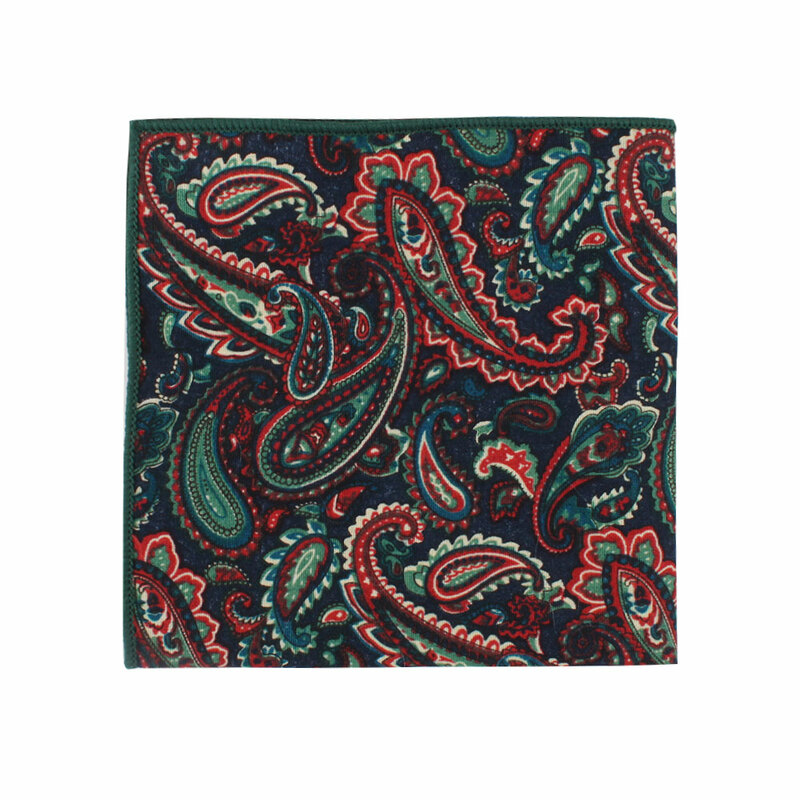 Seize the day and spice up an outfit for the office with the flamboyant mix of colours found on the Carpe Diem Paisley Skinny Tie & Pocket Square Set. 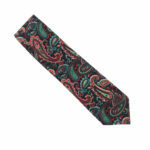 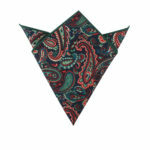 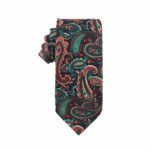 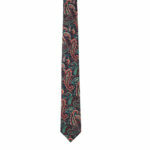 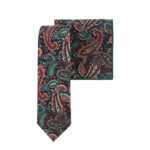 Vivid reds make this the ultimate power tie, while the green and blue tones add interest to the design. 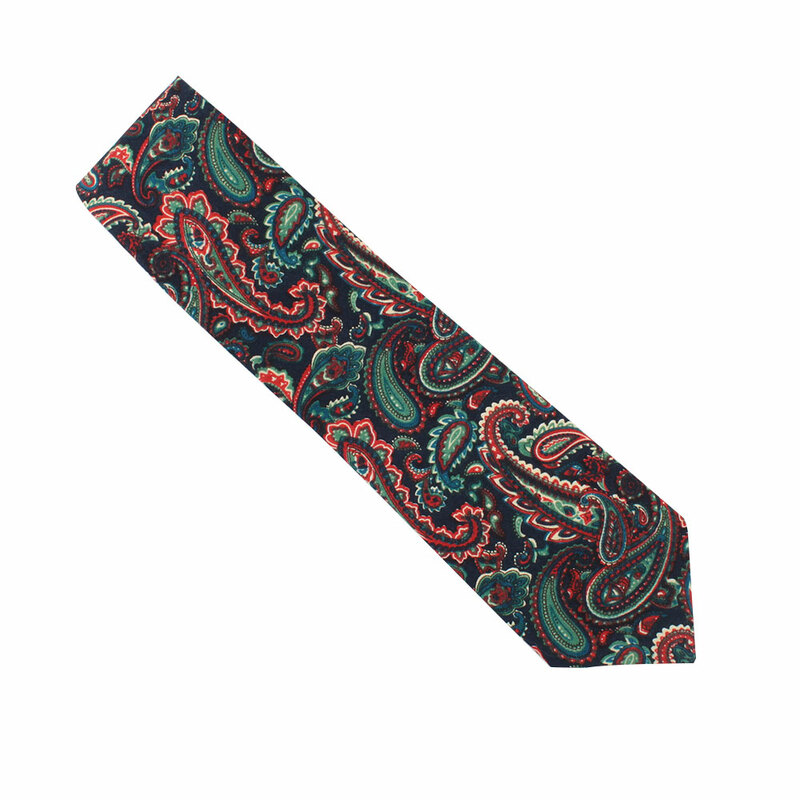 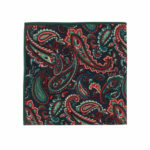 The large paisley flourishes will appeal to your creative side and spice up any traditional suit or sport coat. 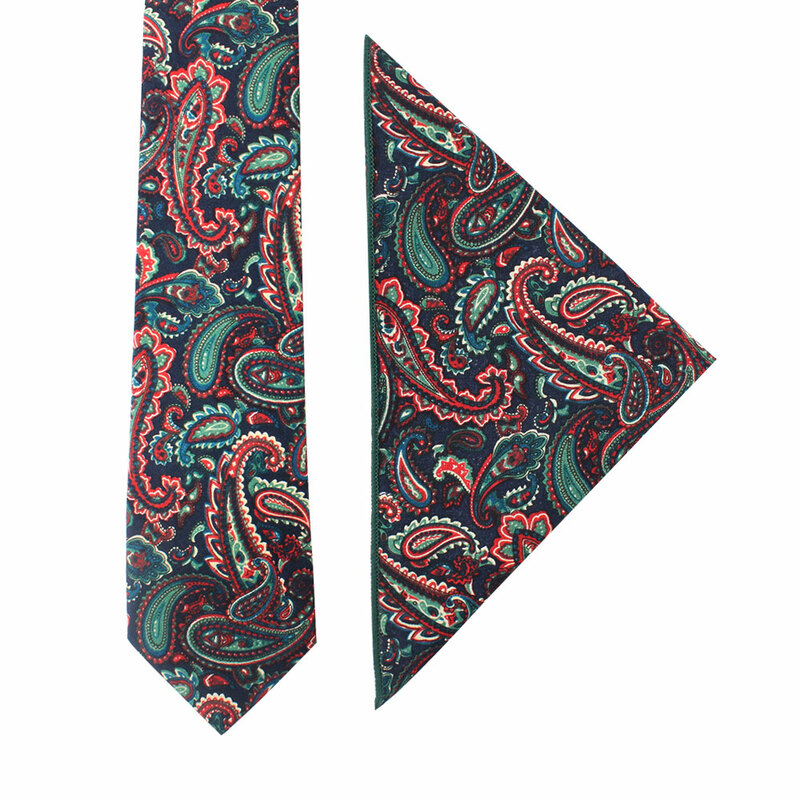 Order now to have this combo shipped direct to you from our online Australia shop. 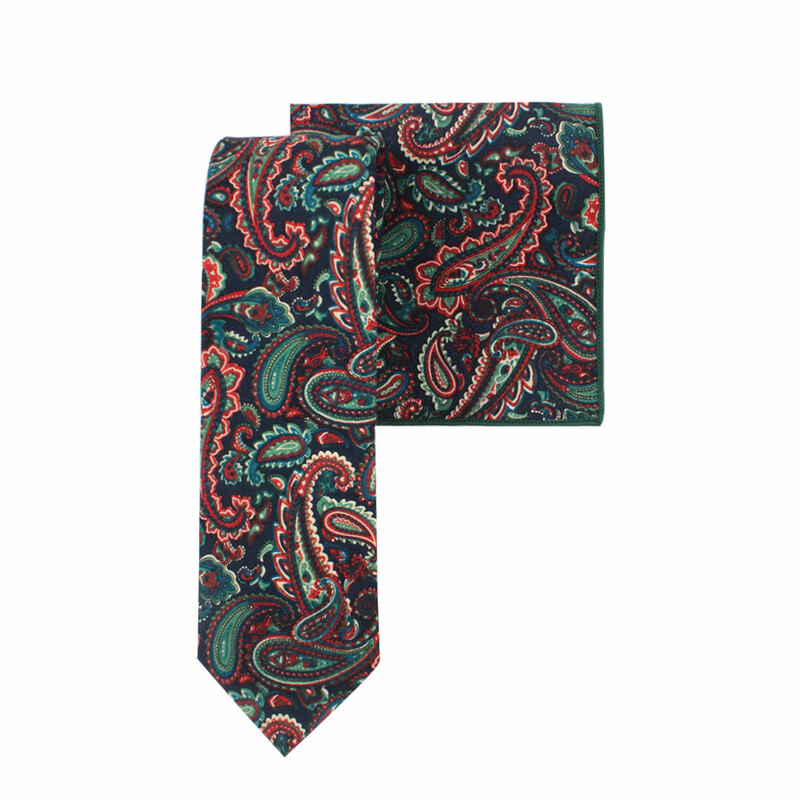 Our quick shipping ensures that you’ll have this set in no time to give as a gift for him for an upcoming occasion. Try on the ultimate display of class with just a hint of nautical flair when you choose to wear the Navy White Stripe Tie to your next event or day at the office. 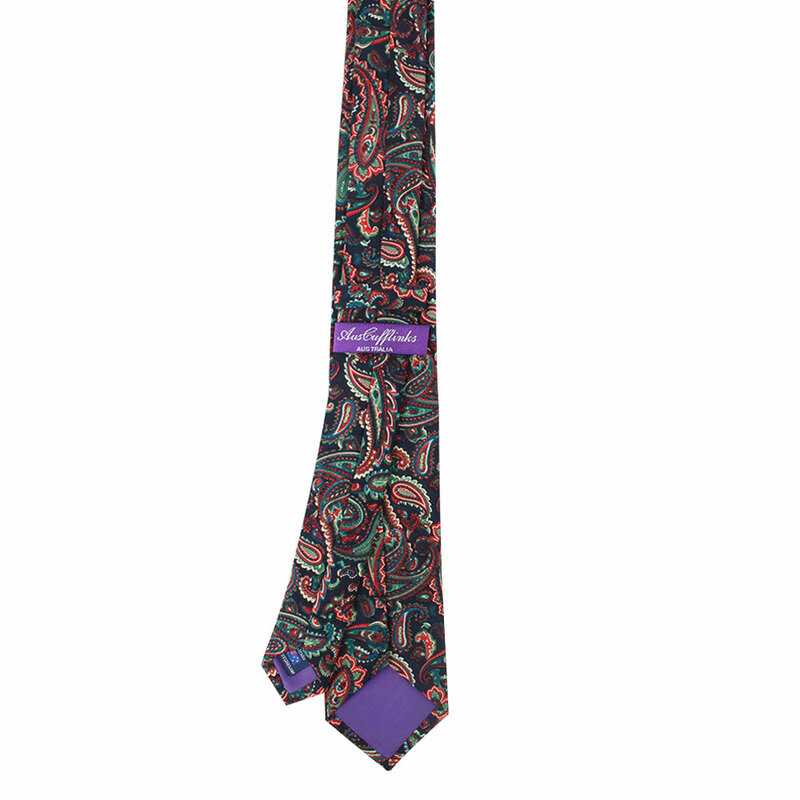 A perfect gift for him, the wearer will strut around with undeniable style in a tie that matches just about any suit it is paired with. 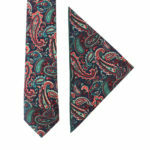 If you are looking for a groomsmen gift idea, look no further than this tie. 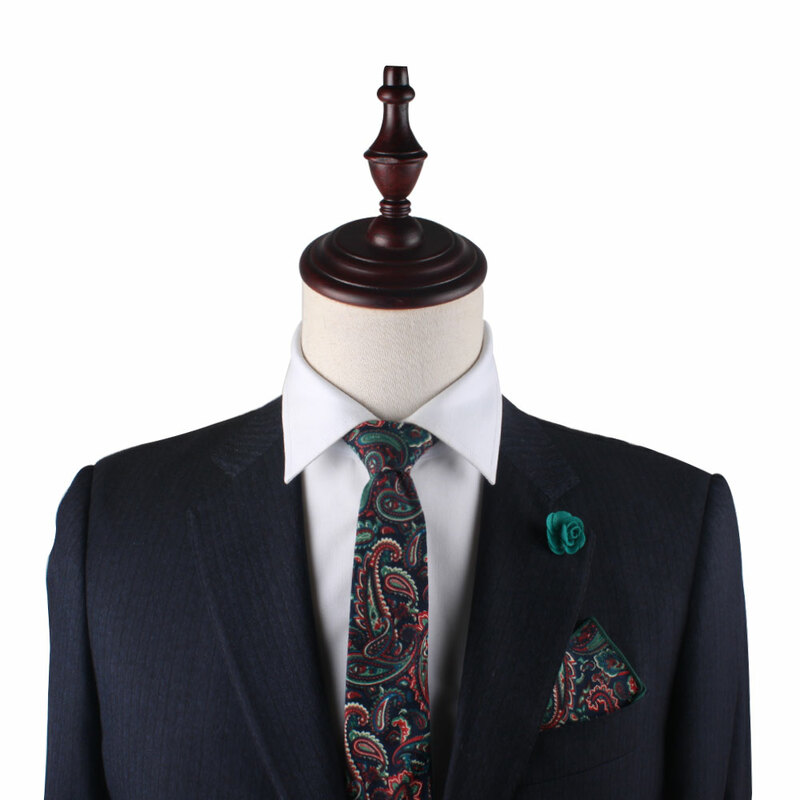 Its diagonal navy blue lines accented by beautifully contrasting white make it perfect for any nautically themed wedding ceremony, ensuring that this groomsmen gift can be worn on the big day and beyond. 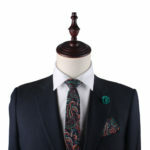 These gold circular cufflinks with an alluring mother of pearl insert are one of our most popular in the classic range. 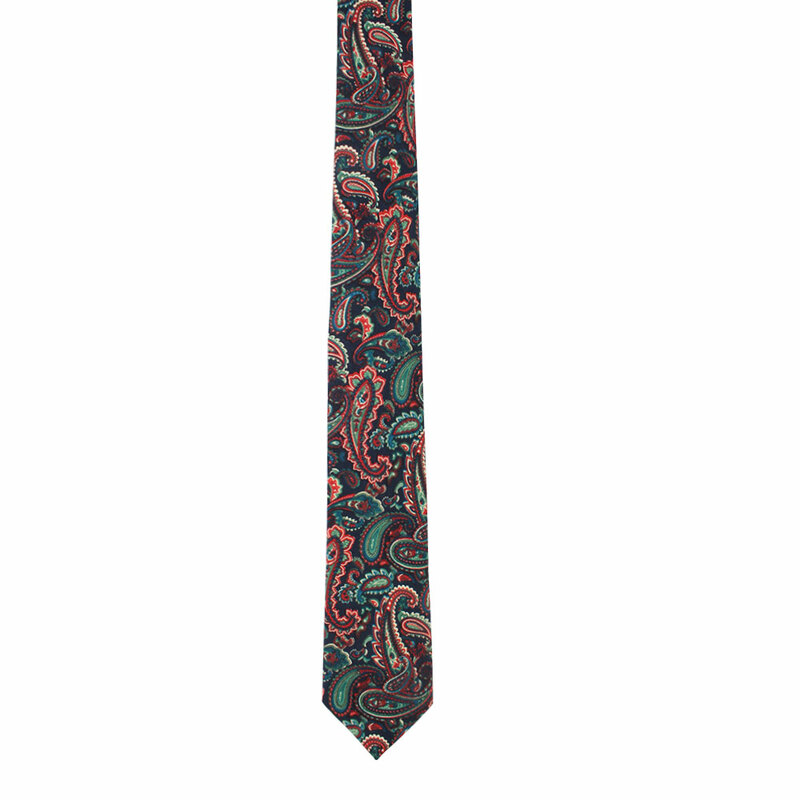 An always fashionable and neat accessory; a keeper for everybody.